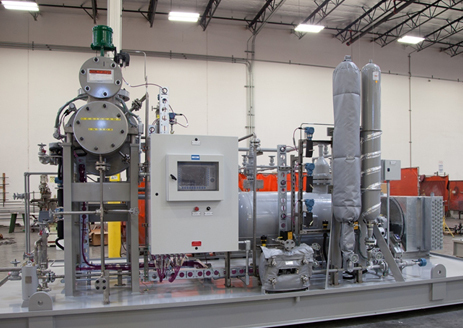 Process Systems - Optimizing Complex Industrial Processes | Combustion Associates Inc.
CAI’s process systems are in-house designed and fabricated equipment that ensure high-level of operational performance for a longer period with very minimal downtime. Such reliability is of great value in industries such as food, paper, pulp, textiles and agriculture as well as power generation, mining, and oil and gas where optimization of complex processes is critical. Systems are customized per client specifications and are fully tested before being shipped out eliminating start-up problems. They work in tandem with other equipment at the site and get the process online faster. Their skid-mounted, modular plug and play feature makes efficient use of space. They can be monitored remotely. 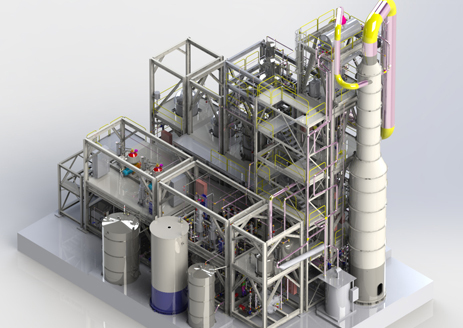 CAI engineers, designs and builds modular skid-mounted systems for oil refineries. 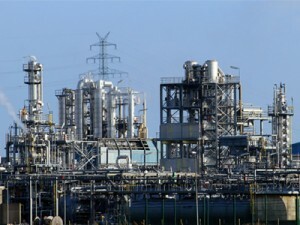 Scope of work generally includes structural and process engineering, modeling, fabrication, piping and instrumentation with interconnected mechanicals and electricals for quick installation, connection and operation. 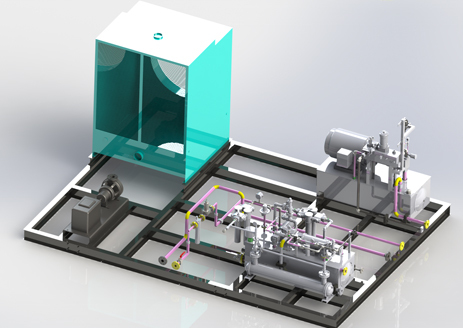 A critical components of any combustion turbine installation is the fuel delivery system which consists of all the components that supply the turbine with fuel. This includes the tank itself, all the lines, one or more fuel filters, a fuel pump and the fuel metering components (carburetor or fuel injection system). CAI designs and fabricates several skid-mounted fuel systems including Fuel Injection Skid, Fuel Metering/Regulation Skid, Fuel Conditioning Skid and Fuel Pump Skid. These are used in on-site power generation systems and also as balance of plant auxiliary equipment in oil and gas operations, industrial parks, food and beverage industry and municipal utilities. Most facilities that generate large quantities of waste heat use ORC units to capture that heat and convert it to additional electric power. 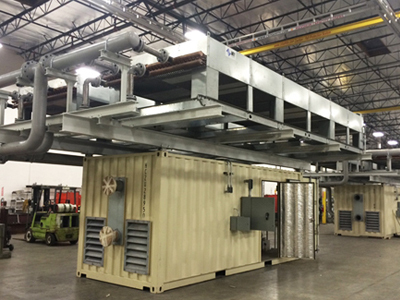 CAI’s containerized ORC modules performs efficient heat recovery and conversion bringing significant cost-savings and environmental benefits. CAI specializes in fabricating, packaging, and integrating ORC systems into an existing plant. It’s ORC equipment easily fits in a 20-foot container. CAI’s ORC unit can be applied to heat and power plants, industrial and farming processes, hotels, hospitals, universities and all facilities that produce substantial low-grade waste heat. Compressors increase the working pressure of gas, when the pipeline pressure is not enough, to power the site equipment. Gas compressors are powered by medium or low voltage electrical motor, gas turbine or reciprocating engine. They are ideal for use in power plants, oil fields, hospitals, refineries, chemical and petrochemical industries and a range of other applications where high pressure gas is needed. CAI has extensive experience in designing and fabricating balance-of-plant (auxiliary) systems for the power and process industries and integrating them with the existing plant. Mechanical auxiliaries built by CAI include lube oil, fuel, starting air, water cooling, air intake and exhaust, and fire suppression systems. The company also has expertise in building electrical auxiliaries such as low/medium voltage switchgears, motor control centers (MCC), ground resistance panels, uninterrupted power supply (UPS), local power and control panels, automatic transfer switches (ATS), step up/step down transformers and high voltage gas insulated circuit breakers.